Bekele Shanko serves as both the chairman of GACX and the vice president for Global Church Movements for Cru. 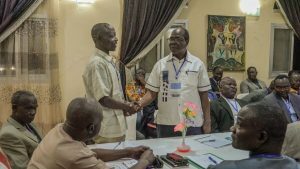 In late November 2017, a national consultation on church multiplication was held in N’Djamena, Chad. Among the 450 leaders who came were presidents of 22 denominations with a history of division and animosity. Then the Holy Spirit brought about an outpouring of repentance and forgiveness that resulted in a new, unified vision for the country. And it all happened because one leader, Tamadji, responded when God opened his eyes. In January 2017, thirty-three leaders of Cru’s Global Church Movements (GCM) from 22 countries of Africa and the Middle East gathered in Addis Ababa, Ethiopia. Among them was Tamadji Moyalbaye, national GCM leader for Chad, who listened very carefully as I spoke about developing effective collaboration in the Body of Christ. In the same way the Holy Spirit prepared Lydia’s heart to respond to Paul’s message in Acts 16, the Lord opened Tamadji’s eyes to see what could happen in his country. 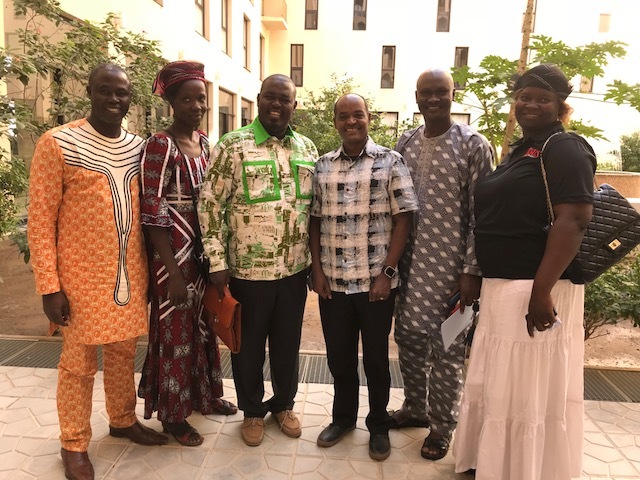 Tamadji envisioned a day in which all the denominations and mission organizations in Chad could come together, allow God to build their unity, and intentionally collaborate to reach their country with the Gospel of Jesus. Tamadji wasted no time and started planning for a national consultation while still in Ethiopia, praying and listing the names to contact. Tamadji knew the potential difficulties of trying to bring together all the churches and mission agencies. But he also believed that all things are possible with God, so he started mobilizing prayer and casting the vision for unity. Others embraced his initiative, and they soon commissioned a national steering committee with a task of organizing a national consultation. Objectives were clarified, dates set, and speakers identified. Invitations were sent to key leaders across the country. However, Tamadji and the members of the steering committee realized that each denominational leader needed to be invited personally as well. Tamadji’s vision was further galvanized during the 2017 GACX Global Forum in Minneapolis. The steering committee originally expected 300 leaders to come to N’Djamena, Chad starting November 27. Instead, over 450 showed up! During my brief message at the at the opening ceremony, I felt the Holy Spirit leading me to ask the participants stand up, walk to somebody from another denomination, and embrace and appreciate one another. At the time, I didn’t know about the deep division that existed in the church; but right there, God started the process of reconciliation and healing. Two denominational leaders finding reconciliation. There was a silence in the room for a few moments. Then another denomination’s president stood up, knelt before the one who asked the question and said, “My brother, I am the problem, please forgive me!” Suddenly, the room became holy ground. In God’s moment, I found myself walking over to the two brothers and asking them to kneel down and cry out to God for His mercy. Then several other leaders asked for forgiveness from one another. God showered us with forgiveness, reconciliation and healing. 22 denomination presidents standing before the group in unity. After that mini revival, the Holy Spirit led me to ask the leaders to promise two things: first, if the denominational presidents could invite each other to their churches and preach; and second if the leaders could tell the conference participants the following day that they have been reconciled. The leaders said yes to both requests. The next day, the 22 denominational presidents stood on stage, holding hands, and declared, “We are one in Christ. We are reconciled. We reject the work of the devil. We commit ourselves to be united for the sake of Jesus and His Great Commission.” The audience was full of shouts of praise. One denomination president called out from the stage to another president, “Please come here.” Then he embraced him and said, “My brother and I have reconciled last night. We are one.” I prayed for the leaders and for the Church in Chad, and we shared Holy Communion together. God wanted the leaders to stand on the foundation of love and unity so that they could proclaim Christ together. As a result, the leaders agreed to plant 5,000 new churches by 2020 and adopt the 81 unengaged, unreached people group in the country. The denominational leaders also signed a document, agreeing to work together. “We give thanks to God for the good relationship we are seeing among the leaders. For example, a week after our conference, the Evangelical Alliance of Pentecostal Churches organized its national convention. The [denomination’s] president has implemented your advice by inviting leaders of non-charismatic denominations who have preached and prayed to dedicate the young pastors to this meeting. It was beautiful and everyone appreciated this unity between the leaders for the first time. I think prejudices have fallen and leaders are accepting one another. In order to help denominations fulfill their church planting goals, we are already planning to train the first 80 people in February. They will be sent to plant churches among the unreached people groups. But many more will be trained in May and September. My vision is to open a permanent training center for missionaries and church planters in order to response to the needs of the denominations in the next few years. Please keep praying for us. The momentum is not only growing in Chad but also in other countries in Francophone Africa. 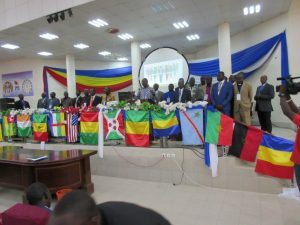 Representatives from 14 other French-speaking African countries as well as Angola attended the conference and witnessed what God did in Chad. Together, they set a goal for planting 13,000 churches in one year. In order to help further the kingdom of God, what steps of faith do you need to take in your country or organization?